I was hired as a Customer Support Specialist and progressed into the Inside Sales Executive role within 6 months. Biggest challenge you’ve faced at SWO: Having to work with Packers fans (just kidding!) I was thrown into my territory very quickly, so I would say my biggest challenge was quickly building relationships with my customers and my team. What is a typical day like for you? : No day really follows the same path (which I love). I’m a morning person: I like to get in a little early, drink my Starbucks and level set for the day. I’m usually on calls/working on customer requests until lunch time, when I go grab food with co-workers. After lunch, I like to touch base with my BDMs on their forecast, pipeline and any new business going on. What activities do you enjoy in your spare time? : You can normally find me at Barre Class, on a bike ride or at a concert. Where do you see yourself in 5 years: In between mourning the loss of my twenties, I see myself as a Business Development Manager and helping to grow a territory. 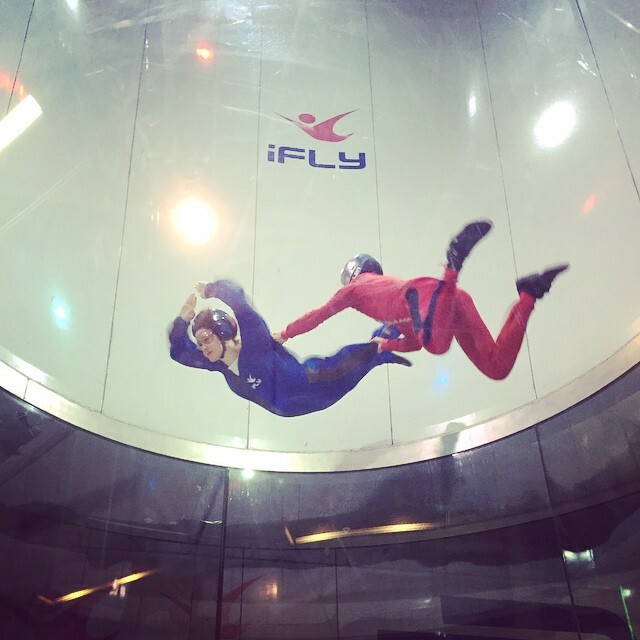 Sophia participating in a customer event: Indoor Skydiving! I love going to customer/networking events. skydiving and even be serenaded by the sweet sounds of Taylor Swift at Soldier Field. Are you ready to SWO SO HARD? Join the hustle at SWO Careers!